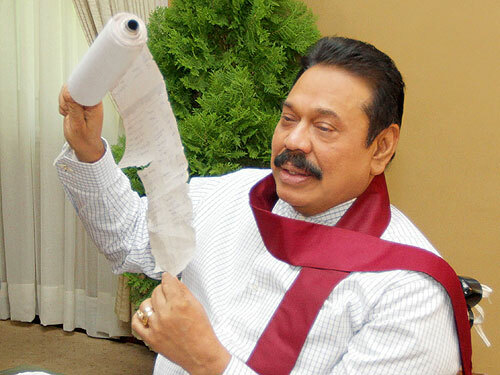 President Rajapaksa has emphatically mentioned that there is no room for the introduction of casinos. The President highlighted that although permission has been granted for the construction of luxury hotels, the establishment of casinos had not approved. Opportunities have been afforded for foreign entrepreneurs to invest in Sri Lanka. Accordingly a star hotel will be coming up along D.R. 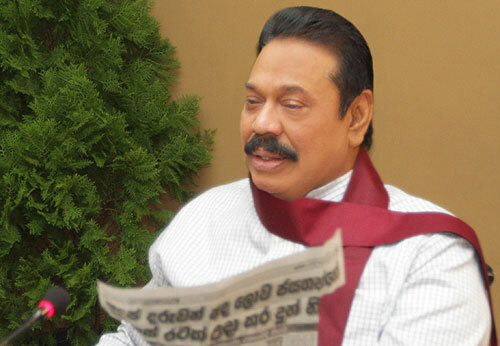 Wijewardena Mawatha in Colombo. The President made these remarks at a meeting with editors of national newspapers and representatives of the print and electronic media at Temple Trees this morning (24 April). Addressing leading journalists the President stressed that it is not a Casino Centre that is being constructed in the proposed Crown Hotel complex and it has also been granted incentives similar to that of other hotel projects in the country. He also pointed out that previous governments introduced Casinos and betting to the country. However Chief Prelates of the three major Chapters have sent a letter to the President in this regard. Asgiriya and Malwatta Chief Prelates as well as Amarapura and Ramannya Nikaya Chief Prelates argued that in the particular gazettes under the cover of evasive wording ‘related facilities’ could lead later on to various vices such as casinos, gambling, gaming, liquor and prostitution. Therefore the Chief Prelates ask the President to amend the Bill after making clear interpretations and describe in details of its clauses. Meanwhile issuing a media communiqué with regard to the Casino gazette, the Congress of Religions stated that Casino is not needed nor it wants amendments. Ven. Dr. Iththepane Dhammalankara Thera, Ven. Dr. Bellanwila Wimalarathana Thera, Ven Maduluwawe Sobitha Thera and Colombo Arch Bishop Cardinal Malcolm Ranjith were signatories to the communiqué. United National Party, the main Opposition also held a demonstration on D.R. Wijewardana Mawatha in protest of the proposed Crown hotel project. The Cabinet had granted concessions for a hotel project with gaming facilities, but it had received much objection even from some factions within the government. Accordingly the gazettes were amended. The respective three gazette papers that were presented for hotel projects without casinos under the strategic development projects act were taken up for debate in parliament today (24) and tomorrow (25). The Crown Casino owned by Australian Billionaire James Packer is also among them. The Strategic Development Act Gazette-1 passed in parliament today by 113 to 42 votes; Ven Athuraliye Rathana Thero of JHU voted against while Ministers Champika Ranawaka and Wimal Weerawansa of JNP were absent.